I'm trying to install a wifi thermostat and it won't power up. The old thermo was battery operated 2 wire but there were spare wires. At the R845A relay, red and white whites connect to terminals 5 and 6, red and white also connect to the 2 T terminals. I ran a jumper connecting the blue (common). In the relay, I get 24 volts across 5-6. and 24v between the white wire and common. 0v between red and common. At the thermostats I get 4-10 v between red and common,14v white-common, and 24v r-w. As I say the thermo doesn't work and any help will be greatly appreciated. 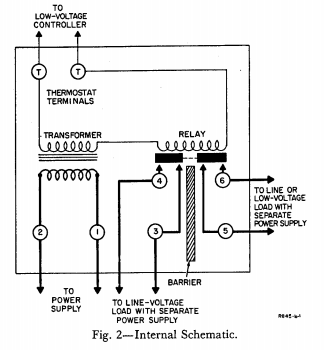 According to this document, the internal wiring of that relay looks like this. It sounds like it's connected something like this. When the thermostat calls for heat, the T terminals are connected through the thermostat. This causes the relay to energize, which closes the contact between terminals 5 and 6 (It also closes a contact between 3 and 4). 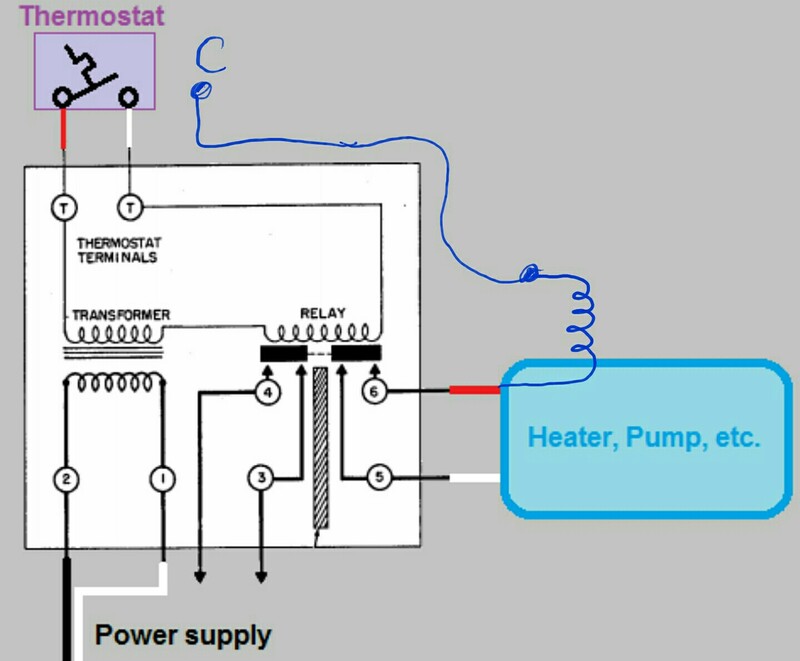 When terminals 5 and 6 are connected, the heater, pump, valve, etc. turns on. Because the transformer is built into this device, it's going to be difficult (possibly impossible) to connect a C wire. 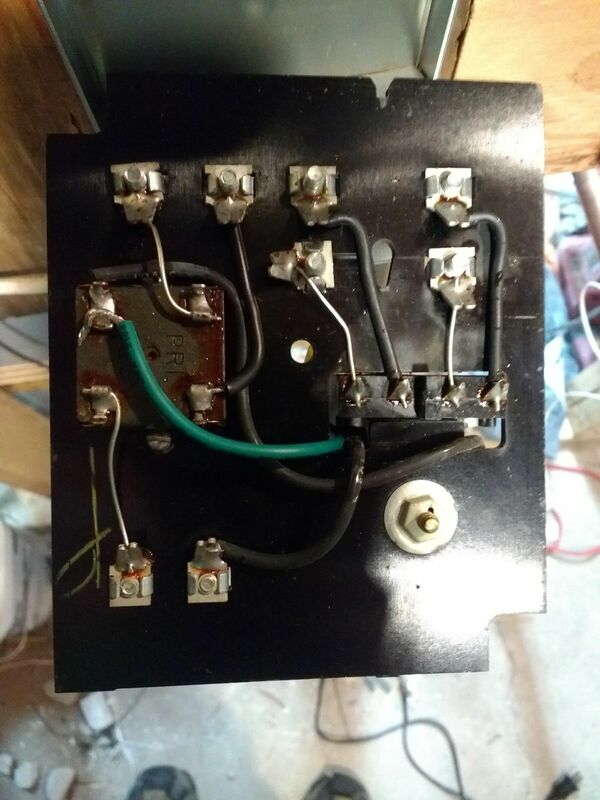 You'd have to connect the wire to the other side of the transformer, something like this. 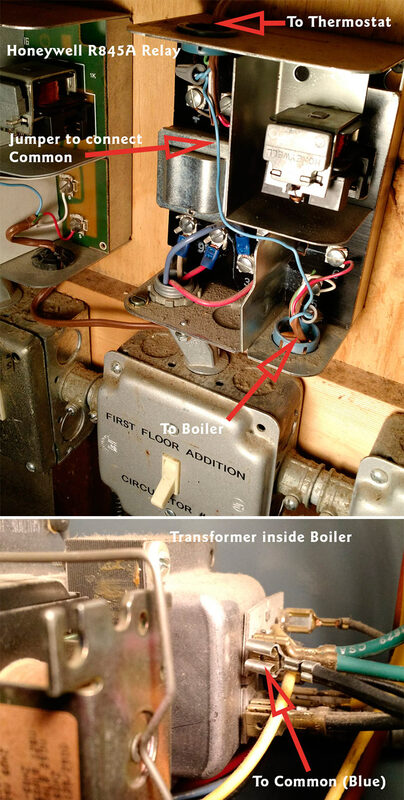 You'll also have to check with the manufacturer, to determine if the transformer can handle the additional load of the thermostat. You might want to contact Honeywell, to see if they offer a similar relay that exposes the C terminal. If they do, you could replace this device with the one with the proper terminals. What you're trying to do, is something like this. Which as you can see in the diagram, is not going to work so well. I had the same problem with the same model switching relay and following the encouraging description given in a comment on Tester101's answer, made the same modification to expose a connection which provides the 'C' terminal. The green insulated wire is the addition, which now provides the 'C' connection. It is connected to the second terminal of the 'secondary' side of the transformer so that it always provides the necessary return path for the low voltage circuit. 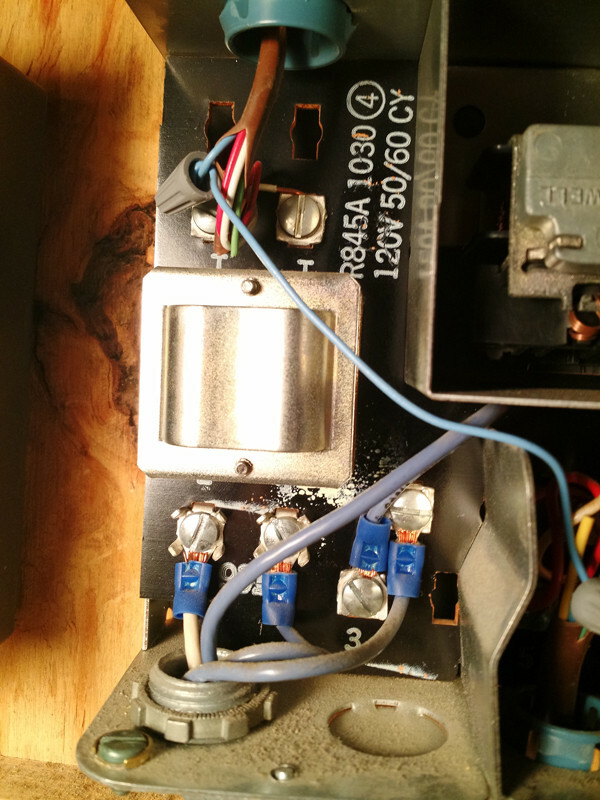 Conveniently it fit through an existing opening in the board, passing by the contactor. (Yeah, my soldering is kind of ugly). The transformer is actually labeled "PRI" and "SEC" which was helpful. (Only "PRI" is visible in the photo). 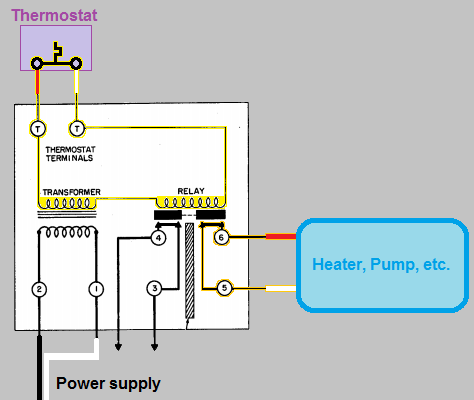 I tested this with a Honeywell RTH8500 thermostat and it works correctly. CAUTION #1: This thing has live 120V power to it. Make sure the power is off when working on it. Not the answer you're looking for? Browse other questions tagged wiring thermostat thermostat-c-wire or ask your own question.